If you believe an error occurred during your divorce trial, your course of action depends on what exactly went wrong. You can appeal the family court's decision to a higher authority – the Arizona Court of Appeals – or you can ask the family court for a new trial. The first option asks the higher court to review the initial judge's decisions. The second option asks the court to vacate or throw out your divorce judgment and schedule a new trial. You can't file an appeal or ask for a new trial just because a judge doesn't rule in your favor or because you don't like his decision. You need grounds – specific, legally acceptable reasons for the court to act. Arizona recognizes more grounds for appeals than for motions for a new trial, but they're still limited. You must establish that the judge made a legal error, such as he considered evidence he shouldn't have or refused to hear testimony that might have affected his decision. You can't ask the Court of Appeals to reconsider the evidence you already presented at trial. An appeal is limited to deciding whether the judge abided by court rules. You have 30 days to appeal your divorce judgment in Arizona. The calendar begins running on the day the court files your judgment and it becomes a matter of record, not the day the judge signs it. A "Notice of Appeal" initiates the action, after which you or your attorney must file a "Record of Appeal" and an appellate brief, explaining how and why you think the judge erred. Typically, the appellate court will review your paperwork – and your spouse's paperwork as well, because she has a right to respond to your allegations – then issue a written decision. You generally won't have to appear in court to argue your case in person. If the Court of Appeals decides that the judge made a mistake, it will remand your case back to the family court judge so he can reconsider the decision he made in error. It won't reverse the trial court's decision; it basically just gives the judge a second chance. You can't file an appeal and a motion for a new trial simultaneously. A motion for a new trial has the effect of keeping your divorce case active with the family court. By law, the Court of Appeals can only make decisions after the family court has officially closed your case. You have 15 days after your judgment is entered with the court to file a motion for a new trial, and if you do, this has the effect of postponing the appeal deadline. In this case, the 30 days begin running when the court decides your motion and the resulting order is filed with the court. If you're denied a new trial, you can then file an appeal. Divorce is often a controversial process. It’s not uncommon for a spouse to agree to terms, then realize he made a bad deal. 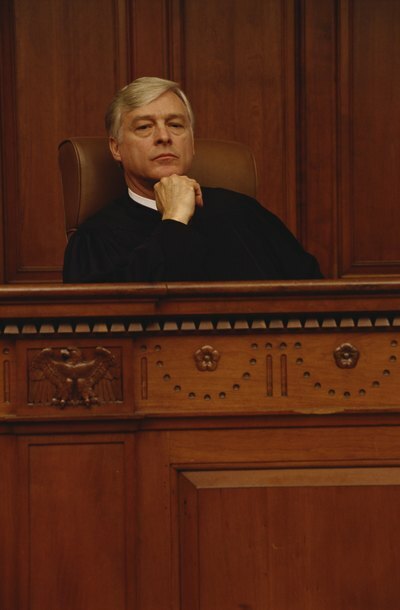 Sometimes, a judge makes an erroneous or unfair decision following the trial. When any of these things happen, Texas offers several ways in which you can contest the divorce. The statutes of limitation vary depending on whether you were divorced by trial, agreement or default.